At the end of the bus line up Zugligeti Utca, you can catch a chair lift that continues up the side of the mountain to Janos Hill. They call it the Libego. 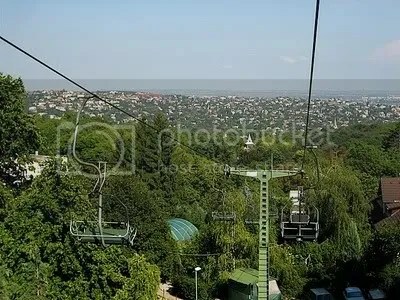 At the top is the look-out tower at Budapest’s highest point, some trails, and a cafe, but the ride itself is the real attraction. While staying with a friend who lived down the road, I took the the ski lift almost every day, just up and down–I admired the ridiculously amazing view of the city and was lulled by the gentle swaying of the bench in the breeze.